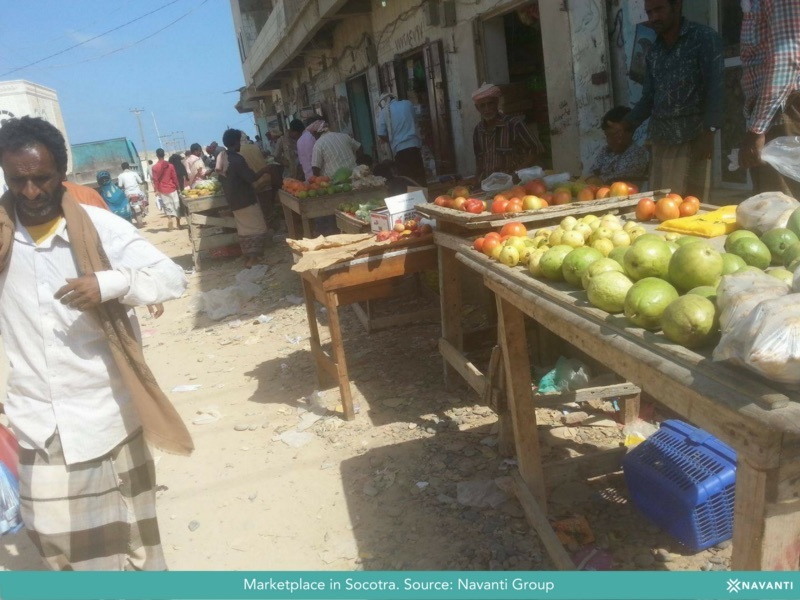 Navanti researchers visited Socotra in February to survey how Yemen’s ongoing conflict has affected the island. They found that Socotra’s physical distance has kept it largely insulated from the civil war’s fallout. Local police provide security. Few Socotra residents have participated in the civil war, contributing to a sense of calm. Markets are busy during the day and well-stocked with produce. The local economy relies on fishing and agriculture, particularly the cultivation of citrus and dates. While the island has abundant natural resources, much of the local population lives in poverty. Municipal services are often lacking, especially since cyclones damaged Socotra’s infrastructure in 2015. Villages have no form of trash collection, while major cities do. The UAE has rebuilt schools, provided electricity generators, and dug wells in Socotra, projects that have been well-received by residents. While it remains comparatively untouched by the Yemeni civil war, Socotra must undergo significant development before residents are able to rise above a history of poverty.